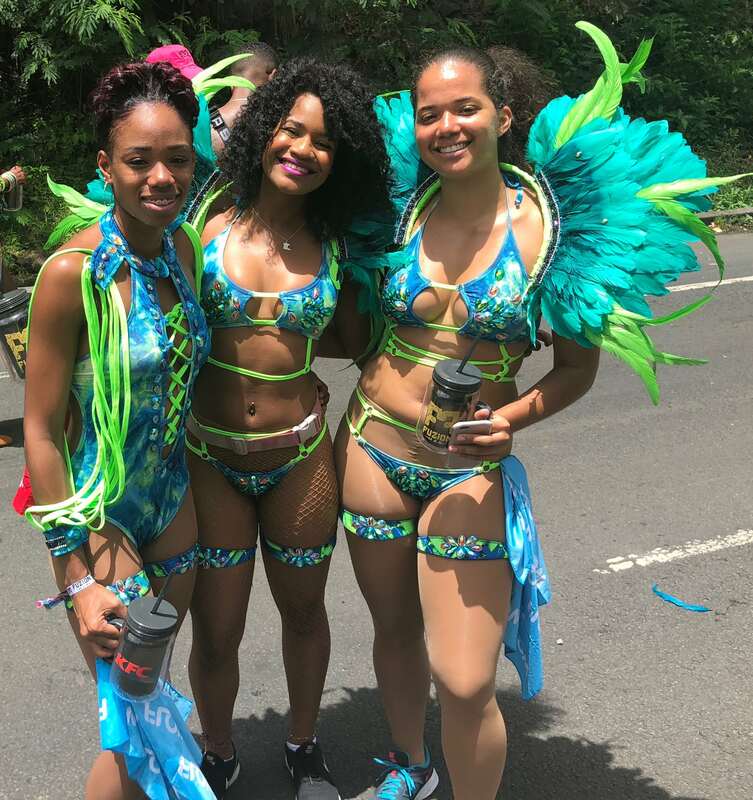 Surrey Link Up: St. Lucia Carnival! 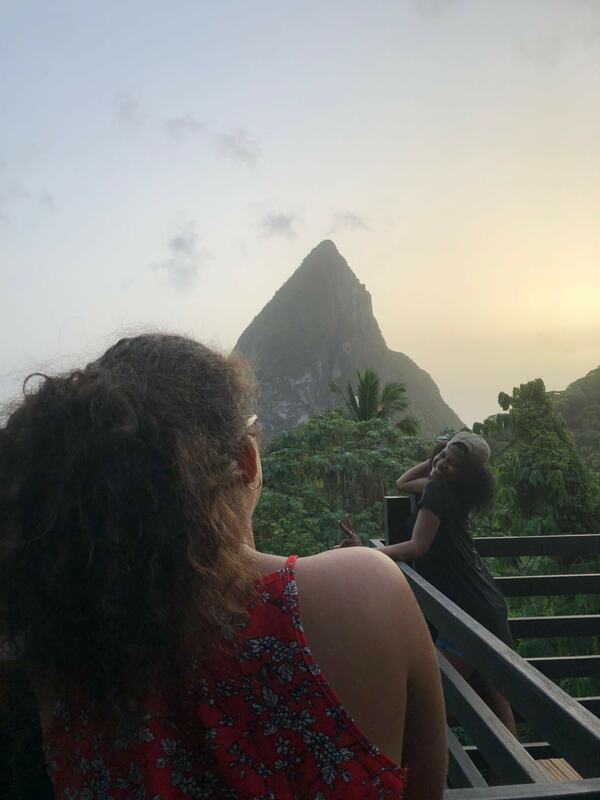 As a member of the international community at Surrey, I’d say that I’ve actually learned more about the Caribbean islands than I would’ve ever imagined! 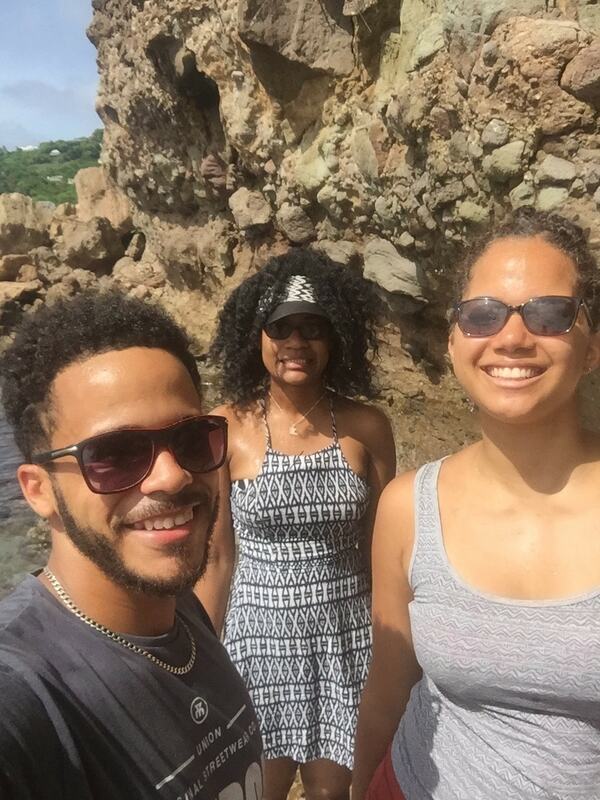 In my first year, I made 4 friends with St Lucian heritage, including Nikita and Ben (big up allyuhselves) who were born and raised there. Through a mutual love for soca music, I grew very fond of Lucian people & their culture. 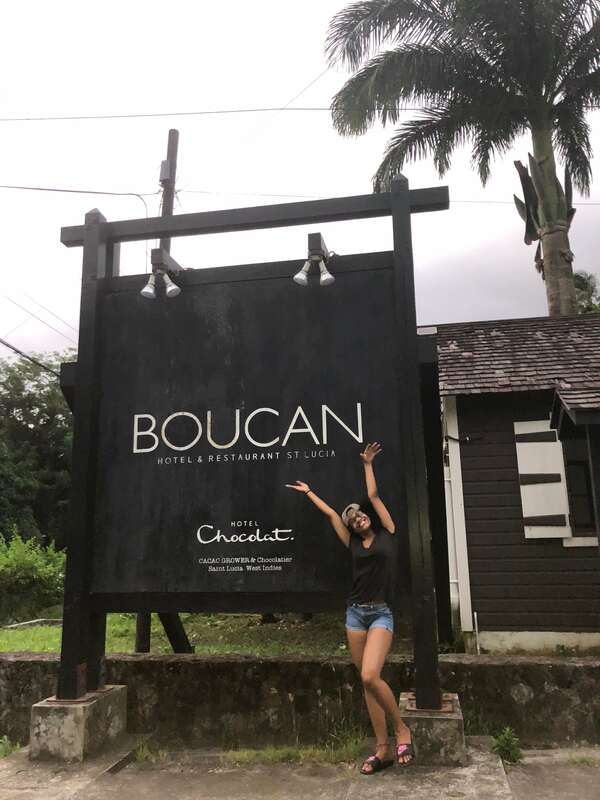 I also have a part-time job at a chocolate shop that started off as an estate in St. Lucia, and I’ve had countless customers boasting about how beautiful it is. I just had to experience it for myself. As a shameless Carnival addict, what did I do? 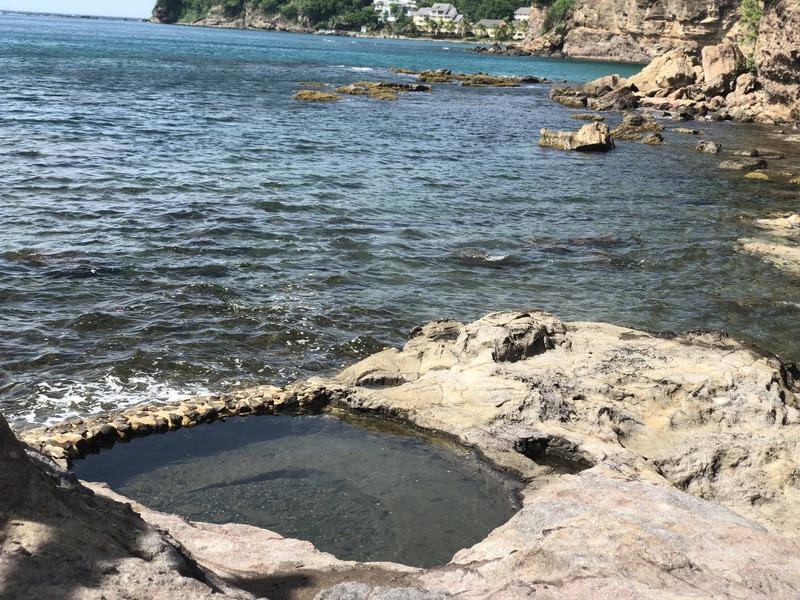 I booked a flight to St. Lucia! Friends = free accommodation + knowledgable tourist guide. 5 stars! On my first day, I was really eager to see the original Hotel Chocolat, so we crossed that off the list! 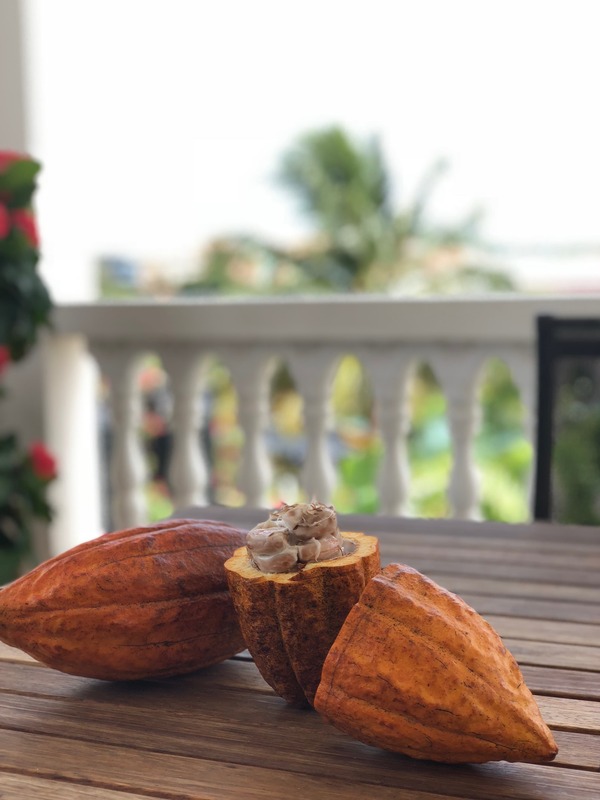 Picking fresh cocoa pods in the sunset with a breathtaking view of the Piton mountains? 5 stars! The next day, it was feteing time! 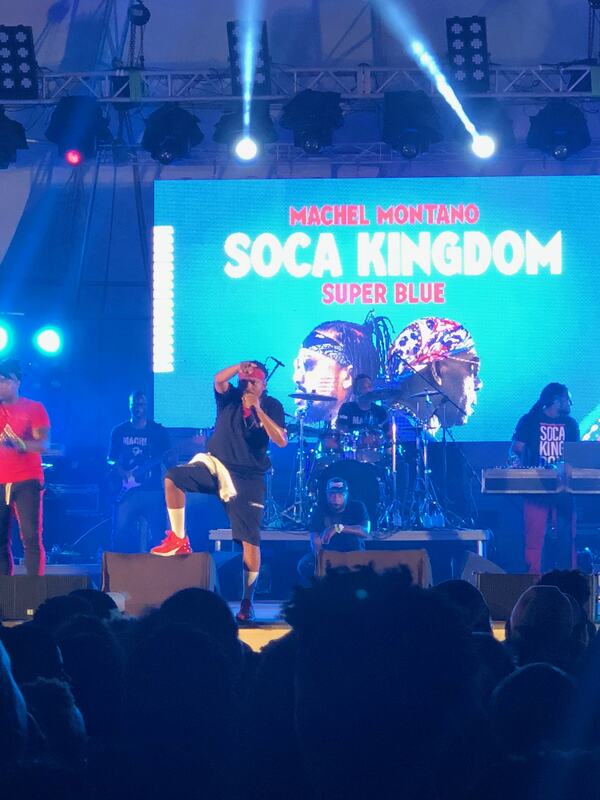 I’m a huge fan of Machel Montano, so the Soca Kingdom was an inevitable destination. 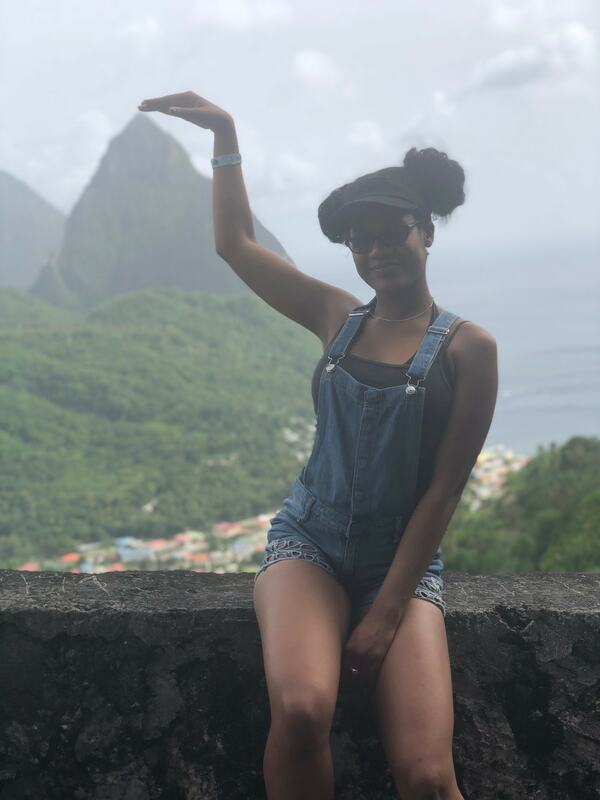 We went to 3 different fetes (parties) while I was there, and let me tell you, these St. Lucians can DANCE. Like REAALLYY dance- guys and girls alike! I guess it must be something in the water there? After jumping & waving high, we dragged ourselves to the Sulphur Springs- the world’s only drive-in volcano. 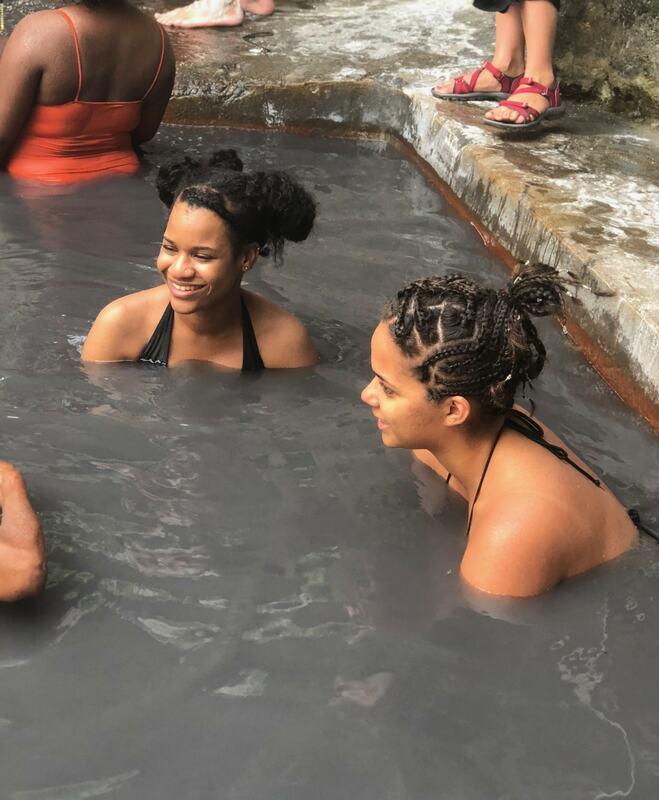 We indulged in the detoxifying, beautifying, heal-ifying properties of a warm natural mud bath. 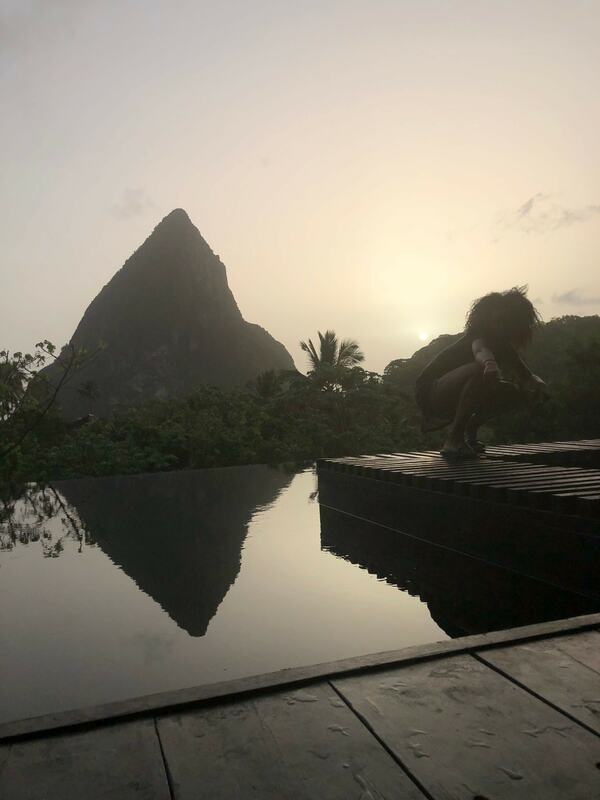 If you ever wondered how St Lucians look flawless and healthy, I’m pretty sure this is why. Maybe that’s what powers their dance moves too? Surrey students abroad, friends for life! 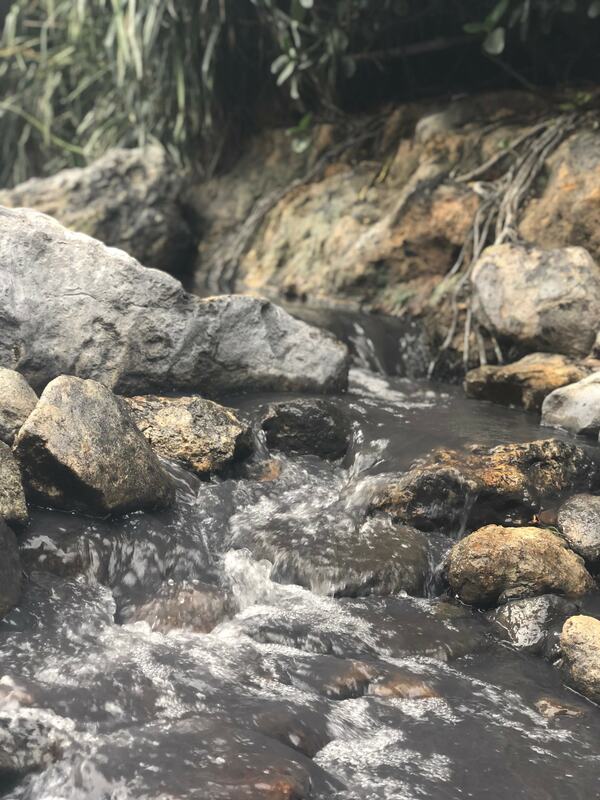 We rinsed off at a nearby waterfall, which was warmed by the dormant volcano (unlike the cold ones in T&T that I’m used to). Bathe in minerals, rinse in minerals..talk about that tropical glow! 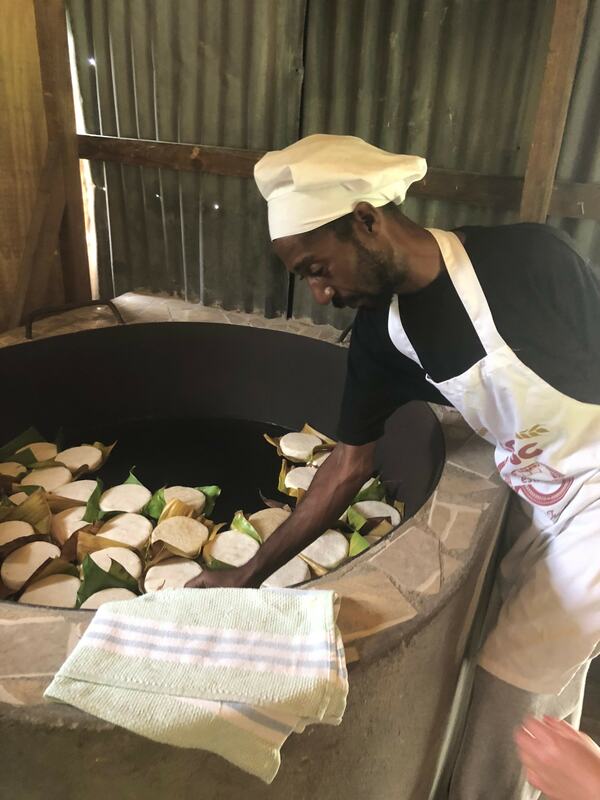 On our journeys through the different towns in the St Lucia, I was really happen to try some local cuisine that’s made in the traditional way. 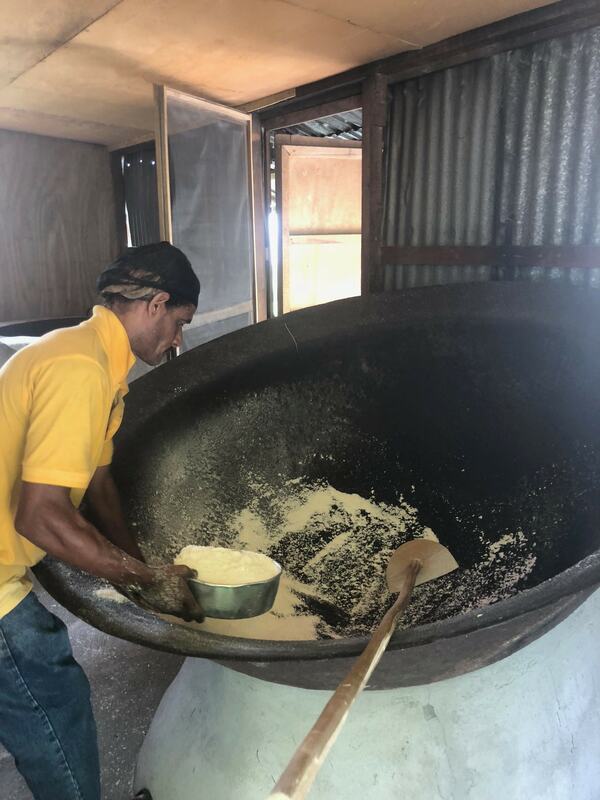 We dropped in at Plas Kassav, where they make the most delicious cassava bread in all different flavours. I got a short course from the head baker himself, as he monitored a batch on the hot stove. 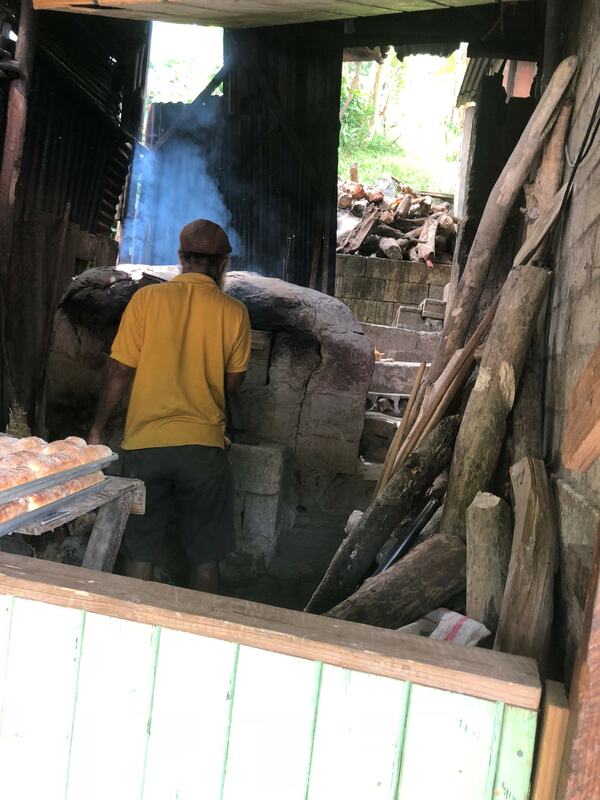 In high school I learned about cassava bread and farine as indigeneous cuisine, but the tradition has mostly been lost in Trinidad. Seeing the process in person was definitely an edifying experience. 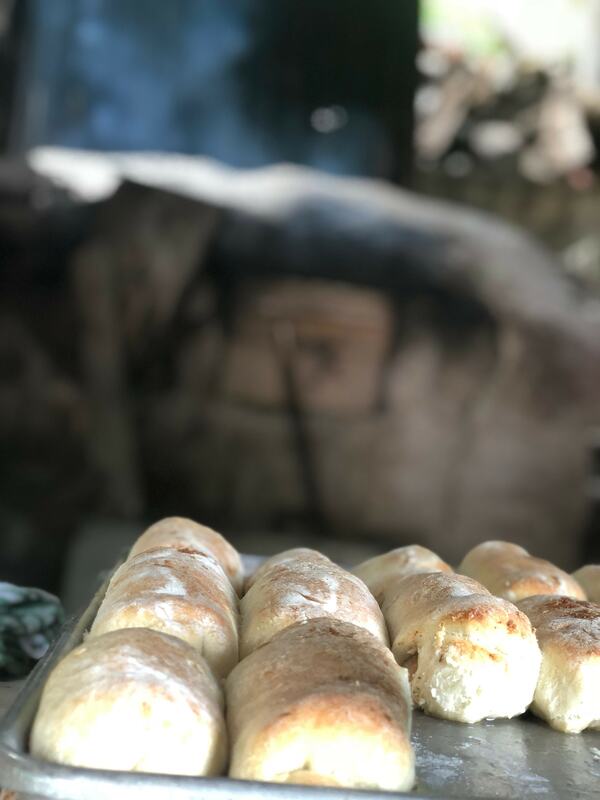 At another stop, we bought local pastries from another roadside stop where they also clay ovens. This time I learned that the Lucian usage of ‘bake’ and ‘dhal’ is totally different from the trini reference, but yummy either way! It’s also interesting to see how St Lucian cuisine generally isn’t as Westernised as in Trinidad. More specifically, they’ll quicker have fresh squeezed juices from local fruits (guavas, pommecythere/golden apple, tamarind, passion fruit..) than apple or cranberry. 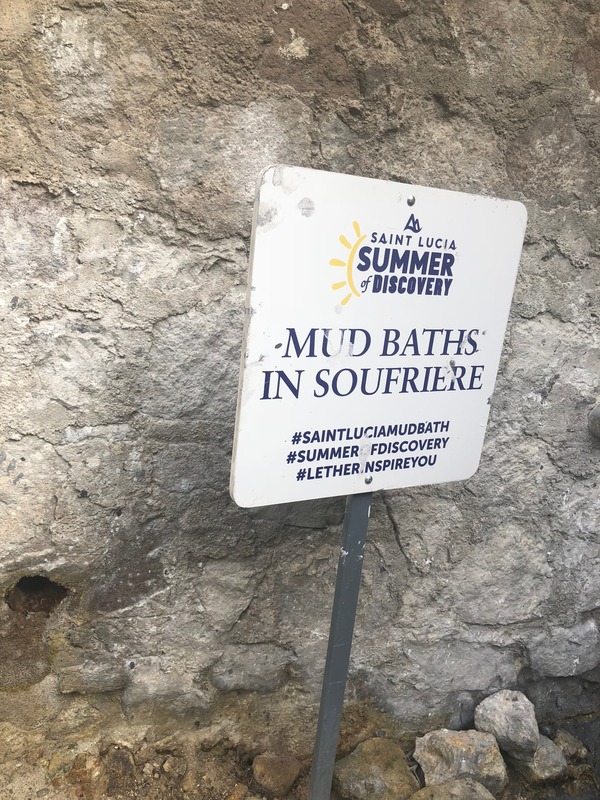 Being from a little island myself, I’ve seen no shortage of beaches in my lifetime, but still went to dip in some Lucian salt. The climax of the trip was the Vaval (Carnival) itself. 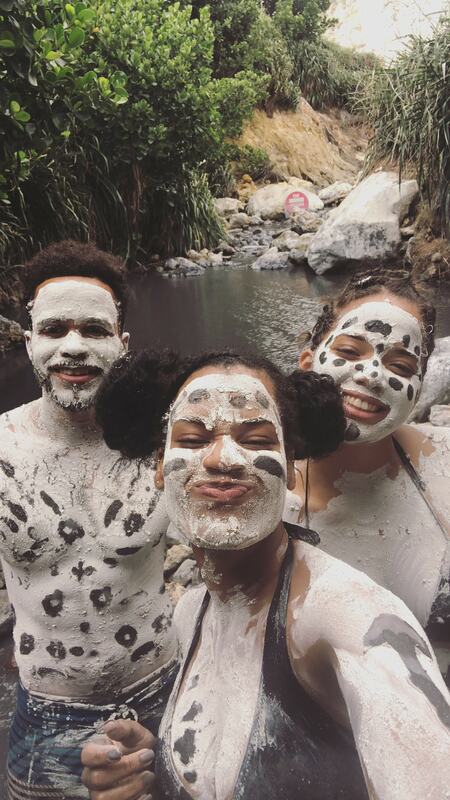 They definitely do things differently for Carnival in St Lucia, but not in a negative way. Firstly, J’ouvert isn’t practised on quite a large scale as it is in Trinidad. Also, while trinis will say that we ‘play mas’ when we’re officially registered with a band, Lucians will say that they’re ‘jumping Carnival’. For the main parade, it’s common for masqueraders to wear the same costume for both Monday and Tuesday. However, I was told that it’s now becoming popular for people to wear the main costume on Carnival Monday, and switch over to a customised piece on Tuesday. 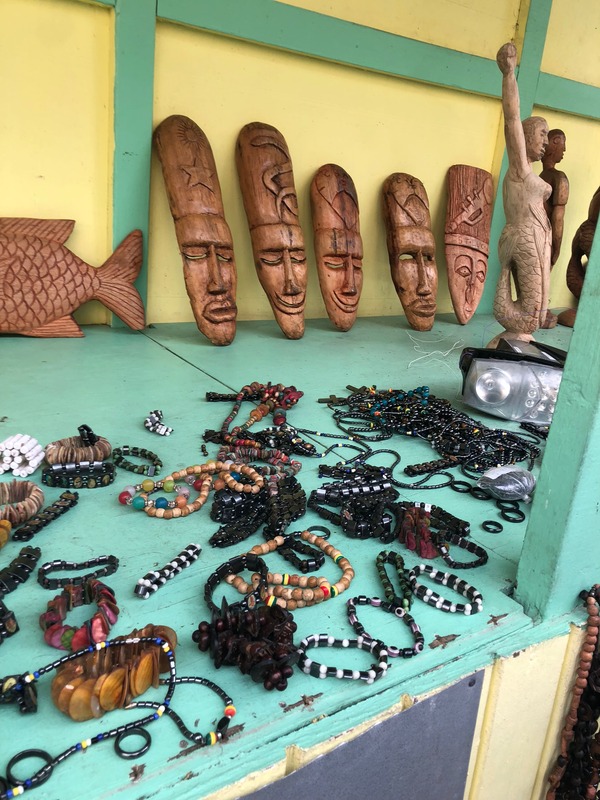 This is the reverse of in Trinidad, where mostly everyone sources their own ‘Monday wear’ and then comes out in their full costumes on Tuesday. The costumes in my section were all sewn locally, unlike most others which are designed by in the Caribbean but mass produced in China. The designer was also there at the collection point to ensure that everyone was satisfied with their fit. This was really a nice touch, knowing that local creativity and talent went into the making. The fun thing about our band was that they had a music truck with live soca being performed on the road- with a vocalist, drummer, pianist and all the works. They did have DJs at some points, but the live music was a nice symbol of keeping the tradition alive!